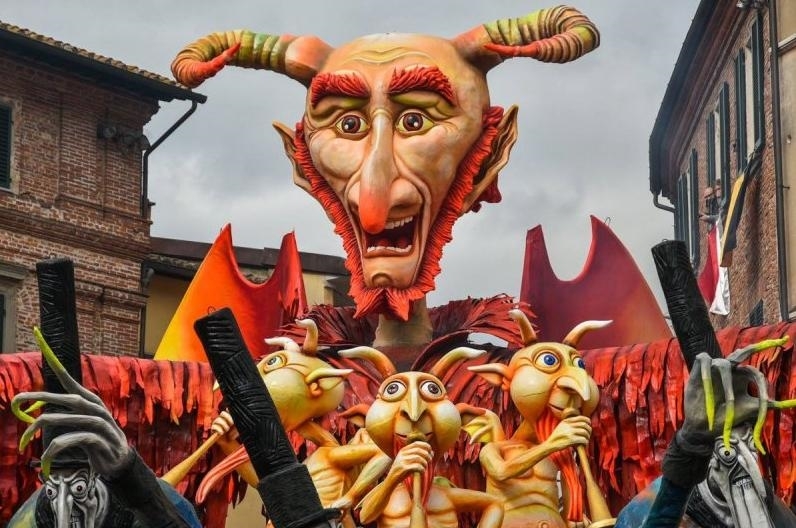 The Foiano Carnival in Foiano della Chiana, Tuscany is known as one of the ancient carnivals in Italy. 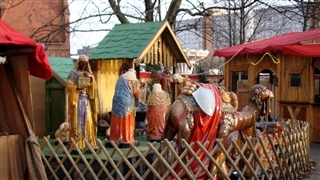 The carnival’s events take place on Sundays from mid January until mid/late February . (It is recommended to confirm the dates). 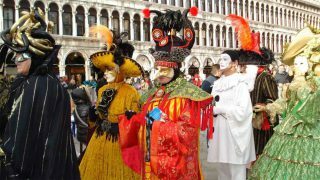 The carnival that started in 1539 was aimed to welcome the New Year and create a joyful atmosphere in town. In the colorful carnival the visitors can enjoy a wonderful parade with dance groups, jugglers, bands, carnival shows performing on floats (decorated platforms), giant dolls which represent figures of politic and local culture. 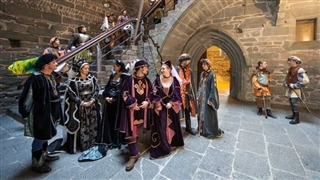 Thousands of people, local and tourists pour into town and the demand for accommodation is higher than usual, therefore it is advisable to check hotel prices and make reservations ahead of time. 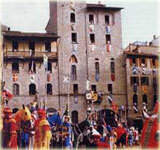 In a contest on “The most beautiful float”, groups from the four quarters of the city (Azzurr, Bombolo, Nottambuli and Rustici) participate. 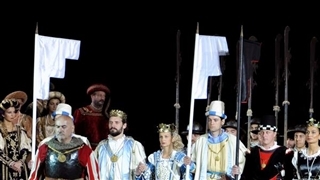 As part of an ancient tradition, a farewell ceremony from the passing year and welcome the New Year is held. The ceremony begins with reading a will that summarized the passing year and greeting the new one. After it a doll (effigy) made of rugs and straw of the king’s carnival named Giocondo is burned. The fire ceremony symbols the collective purification of Foiano residents. 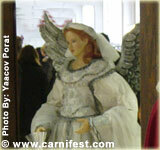 The visit in this carnival is a magnificent cultural experience.